Abstract. Analyzing the worst-case complexity of the k -level in a planar arrangement of n curves is a fundamental problem in combinatorial geometry. We give the first subquadratic upper bound (roughly O( nk^ 1-1/(9· 2 s-3 ) ) ) for curves that are graphs of polynomial functions of an arbitrary fixed degree s . Previously, nontrivial results were known only for the case s=1 and s=2 . We also improve the earlier bound for pseudo-parabolas (curves that pairwise intersect at most twice) to O( nk 7/9 log 2/3 k) . 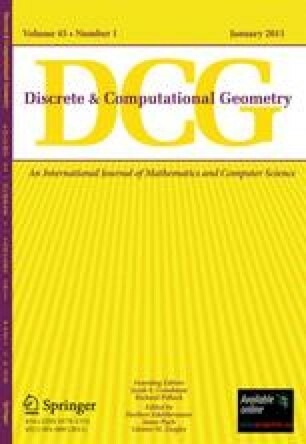 The proofs are simple and rely on a theorem of Tamaki and Tokuyama on cutting pseudo-parabolas into pseudo-segments, as well as a new observation for cutting pseudo-segments into pieces that can be extended to pseudo-lines. We mention applications to parametric and kinetic minimum spanning trees.